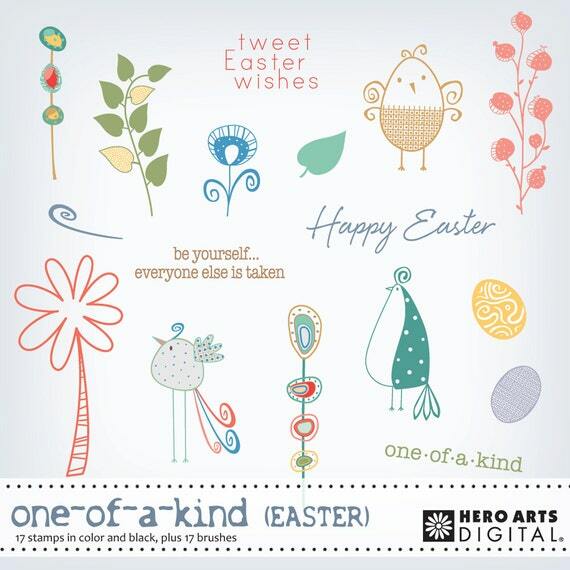 Hero Arts Poetic Petals Digi Stamp Download makes for colouring fun. Hello again all, happy August and all those things. So the theme for this month is Bright and Beautiful and so how could I possibly go past the Hero Arts Digi Stamp Download Poetic Petals. It was made for this page. I printed out the flowers at all different sizes and then got out the colouring implements and went to town. My hands that have arthritis were not so impressed, but my brain had a good time, as well as the mental therapy that goes with colouring in. Off goes my mind, happily thinking, dreaming, imagining and before you know it, I am surrounded by colourful flowers. Now that I had them all, I had to chop them out. I am not one for fussy cutting – it does my head in, but I am quite skilled with a scalpel from my graphic design days. I remember once that I cut out an intricate spiders web by hand. I got this done and then had to allow the hands to rest, so I amused myself with helping my daughter with assignments and then blitz cleaned the house. No rest for the wicked. So, I have all my elements and then the nice mailman brought me happy mail and in it some cutting dies from China as I do love to use the internet to shop. So, I cut out some little seeded branches and painted them with Nuvo mousse pastes. I then cut out these half moon doily shapes and used Nuvo wax pastes to colour these also, using two different tones. I then dug through my ephemera and found some Kaisercraft pieces that fitted in nicely, plus some flowers from various sources. I am a mad flower collector/purchaser. I cannot ever have enough flowers. Is that the case with all creatives? Surely not just me. I started with a lovely blank canvas and applied clear gesso as I knew it was about to get soaked. First of all I stencilled the background as Lindy’s Magical Shakers work better with some texture to get into, plus I was going to do a completely different layout to what eventuated. You can still see a teeny, tiny bit … hehe. Out come Lindy’s Magical Shakers and I used dark blue, purple, orange, yellow and red, just little sprinkles all over. I have pictures below so you can see how it goes from zero to hero in seconds. Gosh, they are so much fun to play with. I love that I used no green and yet, there it is. Groovy baby. If you have not tried them yet, you simply must, they really are quite magical. After all that dried, it looked so awesome it was a shame to cover it up, but I had all these amazing and colourful flowers to use and use them I did. I laid them out to look like a bouquet of sorts surrounding the photo area, most sit flat with some raised up a little. At this stage the layout was looking very flat and I prefer layouts with layers and height, so I mounted the photo up a little higher on cardboard, put a yellow frame around it and then used a circular cut die embossed with silver embossing powder over the top, situated so the photo can easily be slipped in. I then snipped my half moon doilies so that I could bend them and get some dimension happening and then decorated with some ephemera and flowers. The main word “smile” has been made to look a little 3-d by using Glossy accents 3-d gel which gives it a lovely raised, high gloss finish. A really lovely product. Below are some close ups of the final layout, with a little bit of silver sparkle to finish it off. I think it is pretty enjoyable to use digi stamps, they just add a new dimension to layouts, rather than using the normal ephemera. Enjoy your creativity, to see more of my work, please go to my website at www.jacobicreations.com or follow my blog at jacobicreations@blogspot.com.au. Please join us in this months “Bright & Beautiful” challenge for your chance at a $25 gift card to the a2z store. Our current monthly challenge can always be found in the menu bar, and runs from the 1st to last day of the month. The a2z scrapbooking store carries a wide variety of Hero Arts products! Get discounted new releases, sales, grab bags & more. Proceeds from our store benefit Celiac & Behcets disease foundations. Use my discount code Delia15 to get 15% off your purchase of $25 or more. If you’re looking for a Hero Arts product you don’t see in store, use the Request Custom Order button from within the shop. Categories: Challenges, color layering, Coloring, Digital, Embossing, Flowers, Hero Arts, Mixed Media, Scrapbook Layouts, Stencil | Tags: a2z Scrapbooking, august, beautiful, bright, Challenge, colour, colouring, die cuts, digi stamps, ephemera, Flowers, Hero Arts, Lindy's Magicals, Scrapbooking, Sparkle | Permalink. Hi Dawn here to share a couple of cards to you. Our challenge this month is to use a stencil on your project. My first card is a Christmas card. I used a stencil I had in my stash that is a splatter one. I stamped HA K6176 Antique Poinsettia in some red and green inks and used an aqua brush to move the ink around. I then used the matching die to cut it out. (You can get it here on sale!) The sentiment is from a Digi kit called Chalkboard Christmas I love that I can use Digi kits together with my stamps Did you know that A2Z stock all Hero Arts digital kits. I took a Hero Arts stencil (SA0260 Leaf and Flourish Background) – this one is no longer available but you can get it together with one other (as it’s not currently in stock, you can do a special order over at our shop) I traced around the stencil with a fine line black pen and then coloured it in with some Faber Castell pencils. Just like a colouring book page! Remember if you go shopping to use code Dawn15 at checkout to receive 15% off your purchase of $25 or more. And don’t forget that we are on Twitter, Instagram and Facebook. Follow us on these different social media outlets so you won’t miss out on any fun promotions! And another chance to win – During the month of March, we’re giving you a second way to win a $25 Gift Certificate to the a2z Store! We’ll do a random draw from the blog comments during the month of March for one gift card. You can enter once a day by commenting on the blog post and earn up to 31 chances to win! If you’re feeling it, you’re welcome to enter both the Hero Arts with Stencils challenge and the commenting challenge…maybe you’ll win both. Categories: Challenge Winners, Christmas, Digital, Handmade Cards, Hero Arts, Stencil | Tags: colouring, die cutting, Hero Arts, stenciling, stencils, Vintage Poinsettia | Permalink. Hi Dawn here to share a card with you. The digital version is Easter based, but it’s great for anytime. It’s a great inspiration card as well. I used some Prismacolor pencils to colour my stamp adding some Nova clear drops on the bird and lots of Wink of Stella. Categories: Coloring, Digital, Handmade Cards, Hero Arts | Tags: colouring, Digital, Hero Arts | Permalink.